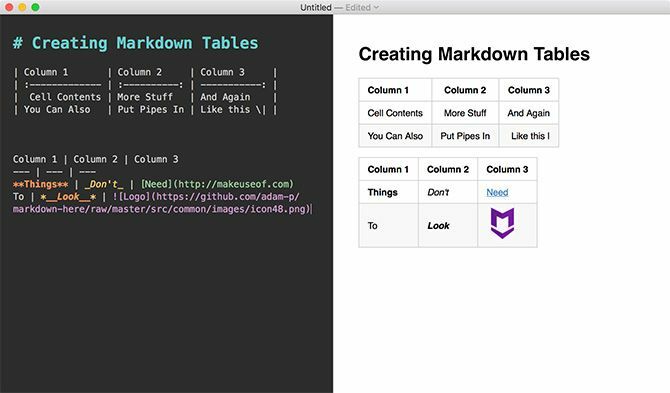 MacDown is a free and open source Markdown editor based on Mou. It surfaced when Mou’s developer ceased work on the project, sparking the idea to create a free editor that mimicked much of Mou’s features and functionality. The two projects are separate ventures, with MacDown steaming ahead in terms of development. 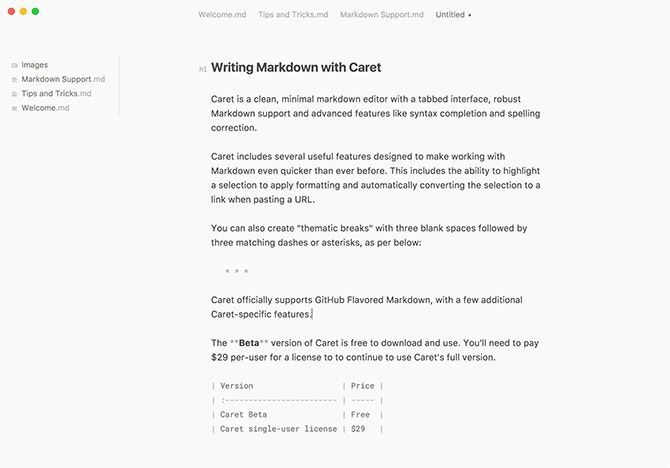 Caret is another minimal Markdown editor, with a clean interface and emphasis on productivity. It uses tabs to keep all relevant documents close at hand, with a main editor that displays both the syntax and the resulting formatted text. It’s a great way to learn Markdown, since your syntax is always visible, but you can also enable a preview pane if you want. Caret exports to HTML and PDF, and the beta version is free (though it’s not clear what the limitations to this version are). You can buy a license for $ 29 to continue to use Caret and support development efforts. Ulysses is a full-fat writing app, with some seriously powerful features. It’s the sort of app you’ll want to use if writing is your livelihood, with its distraction-free and minimal approach to producing prose. 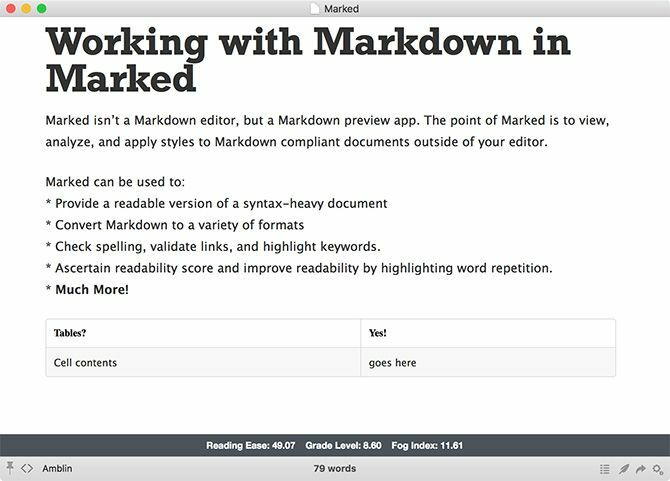 It uses Markdown in a bid to make writers more productive, removing the need to take your eyes off the text to apply formatting or create headers. As a pure writing and publishing tool, Ulysses has the most to offer of all apps featured here. However, you might not need everything Ulysses offers, so a free option might suit you just as well. Ulysses uses a subscription model with a 14-day free trial, then $ 5 per month. You can also get Ulysses as part of the Mac app subscription service Setapp. Export options are extensive, with support for nine built-in themes (with the option of adding your own). Formats include PDF, RTF, Microsoft Word, and OpenOffice. You can try Marked for free before you buy, then pay $ 14 for the full version. It’s also available on Setapp. 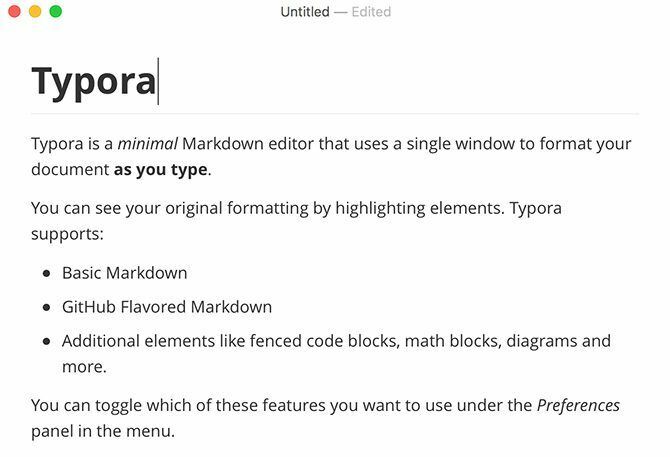 You don’t need a fancy Markdown editor to work with Markdown. A plain text editor works too. 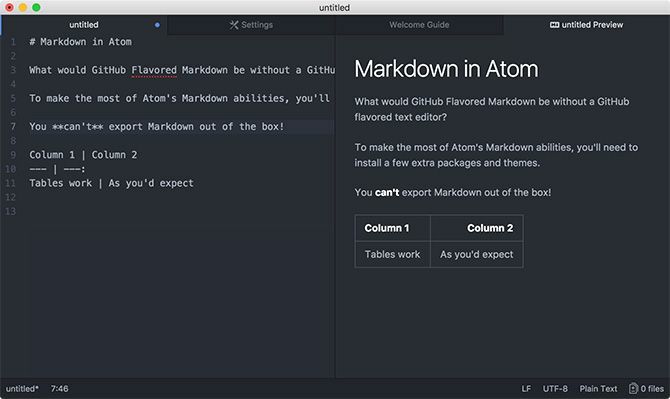 Your favorite editor will do, whether it’s Sublime Text, Visual Studio Code, or Vim. 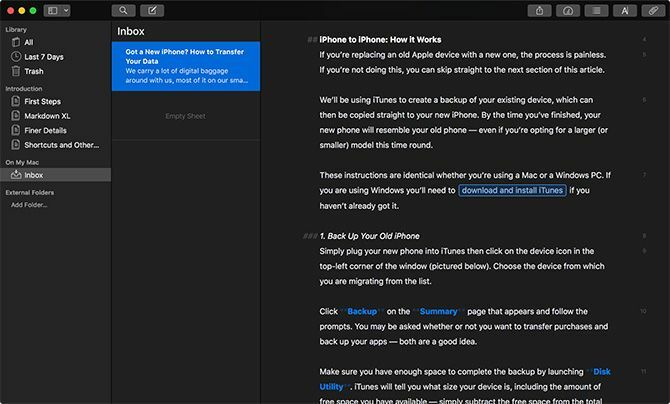 Check out our favorite plaintext editors for Mac if you’re looking for inspiration.